Varahi Industries was established in 2010 and is functioning as the leading manufacturer and supplier of a diverse array of Powder Processing Machineries. 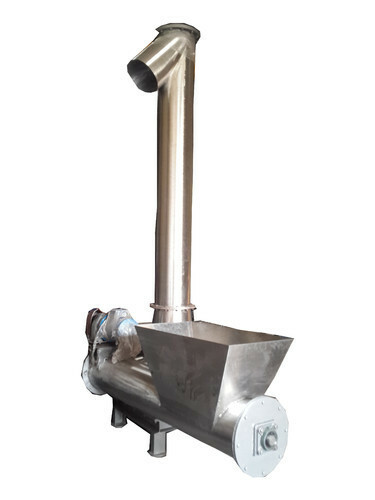 Our most appreciated products are Continues Ball Mill, Ice Crushers and Air Classifiers. These products are regarded for being robust in construction, cost effective and resistant to corrosion. They are extensively demanded in pharmaceuticals, fertilizers and food processing industries. Our group of engineers provides maintenance services for increasing the working efficiency of the types of equipment offered by us. We have established a modernized manufacturing unit equipped with high end machines for making an impeccable range of products. Our raw materials are exceptional in quality, being procured from a reliable vendor base. The manufactured products are passed through strict parameters of quality control for maintaining the desired quality standards. Our warehouse is spacious and is free from dust and moisture. The transportation system we have is efficient and has earned us a reputed name in the industry for timely deliveries of products. Our professionals are the most valuable asset for the firm as they are extremely well-versed with their responsibilities and focused towards the growth of the organization. They have helped us to operate as a client-centric organization by taking care of their varied needs. We have spread our roots across country within a short span of time.